Reach for the Stars: We now accept space travel as a reality, but what of a city in space, built on an ever suspended platform? 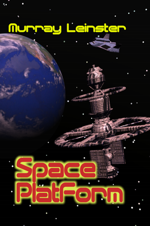 When young Joe Kenmore came to the little desert town of Bootstrap to install pilot gyros in the top secret Space Platform project he hadn’t bargained on sabotage or murder or love. But Joe soon learned that ruthless agents were determined to wreck the project. Pretenders or Prophets? 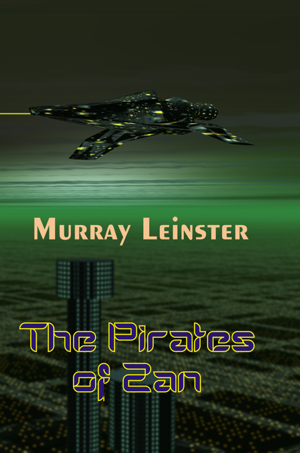 At best, the tiny Kandarian Air Fleet would fight until its last ship was blown into infinity. At worst, it would be annihilated without a chance. To young Captain Bors, either option was unthinkable. 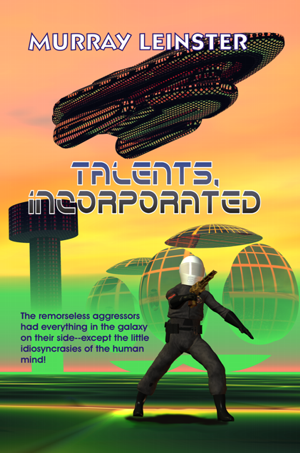 The ruthless Dictator of Mekin had already conquered twenty-two helpless planets. Now he wanted Kandar’s unconditional surrender, or his vastly superior forces would blast it out of existence. It took a lot of guts, and the hope that is frequently born of despair, for a military man like Bors to throw in his lot with Talents, Incorporated, an untried, unscientific organization. Because Bron Hoddan was a serious electronics engineer, he didn’t want any part of his particular planetary heritage. 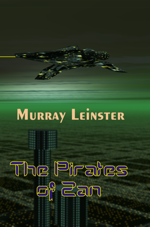 For he was from Zan – and Zan’s only occupation was space-ship piracy! Therefore, Bron went to Walden, the most civilized planet of all.